Although Star Wars Rebels stands on its own, the power of its storytelling is greatly augmented when seen through the light of The Clone Wars and other offshoots of the burgeoning Star Wars mythos. “Visions and Voices,” this week’s episode, proves this maxim by employing elements from not just Rebels’ sister show but also from sources like the novel Dark Disciple and the comic series Darth Maul- Son of Dathomir to help create what might be the show’s most mature episode yet. 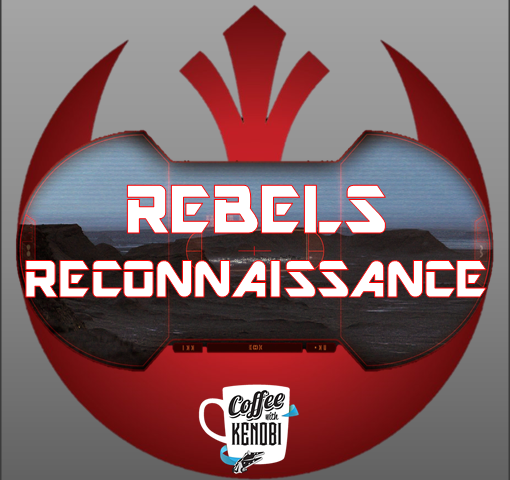 There is a tangible history bearing down on the events in “Visions and Voices,” and there is a sense that history will have a great impact on the future of Rebels. In many ways, “Visions and Voices” is the most unnerving Star Wars Rebels to date as it presents a deeply troubled Ezra who literally can’t get Maul out his head. The erstwhile Sith has forged a powerful connection with his potential apprentice–made all the stronger by their experience with opening the Jedi and Sith holocrons in “The Holocrons of Fate.” Since that occurrence, Maul has gained the ability to speak to Ezra through the Force and appear to him at will. What could first be attributed to exhaustion or stress is soon revealed to be something more akin to Harry Potter’s experience in The Order of the Phoenix as Ezra and Maul are still sharing aspects of their minds. For his part, Ezra has been unaware of the link. But Maul has forged it into a weapon to torment the boy and to force his hand to reacquire the knowledge contained in the holocrons. To counteract Maul’s influence, Kanan and Ezra seek out Bendu’s advice, but the mysterious Force-wielder is less than helpful as he simply expresses disappointment regarding the holocrons’ destruction and his advice to Ezra to stop seeing Maul is to not turn around. Truly living up to his reputation as the “one in the middle,” Bendu is the very essence of ambivalence toward Ezra’s plight and those who sought him as a mentor should be forewarned that he is not particularly interested in taking a side as evidenced by his disappearance just as Maul reveals himself. Maul has come to Attolon with a simple enough offer: since he and Ezra have received part of the other’s vision from the holocrons, the two of them should trade the knowledge they do have for what the other needs (or in Maul’s case, what he feels he deserves). Despite Kanan’s warnings, Ezra accepts the offer as the Padawan feels compelled by Maul’s threats to reveal the Rebel base to the Empire and–more importantly–by the opportunity to finally learn how to defeat the Sith. As an outsider with knowledge of how the Sith finally are defeated, I found this last sentiment particularly to be particularly tragic. Ezra truly feels that it is his destiny to bring down the Sith, but he is completely unaware that it is the fate of another–a certain farm boy from a planet with twin suns–to carry out this task. What will happen to Ezra has not revealed, but I can’t help but feel that he’s headed toward disillusionment. In any case, “Visions and Voices” progresses from Attolon to Dathomir so that Maul can seek out the power of the its extinct former denizens, the Nightsisters. Last seen being wiped out in The Clone Wars episode “Massacre,” the Nightsisters have nonetheless left behind remnants of their “magick” that can help reestablish the link between Ezra and Maul that the two shared by opening the holocrons. But there are other remnants here as well. In fact, Maul has built something of a shrine to his past on Dathomir as a way of restoring his memories. But though the relics (including the Darksaber and a likeness of Duchess Satine Kryze) are meant to inspire a return to the power he once held on Mandalore, instead they simply elicit a sense of how much Maul has lost and how far he has fallen. But Maul does retain his skill of deception, and after Ezra reconnect their minds and their memories, his true intentions are revealed. The arcane ceremony used to forge the bond does achieve its intended result and confirms a popular theory about the visions from “The Holocrons of Fate” in that Obi-Wan Kenobi and the planet Tatooine feature prominently in them. Unfortunately, the ritual also unleashes the vengeful spirits of two Nightsisters and Ezra soon must battle not only these phantoms but the possessed bodies of Kanan and Sabine. Taking full advantage of the distraction,Maul makes his way back to his starship, the Nightbrother and makes yet another offer to Ezra to join him. Rebuffed again, Maul scoffs at Ezra, calling him a disappointment and leaves him to deal with the Nightsisters. After narrowly defeating his spectral enemies while somehow still sparing his friends from further harm, Ezra reveals to them his belief that Obi-Wan Kenobi is the key to defeating the Sith and that he is located on a planet with twin suns (which is apparently a feature common to many planets in the Star Wars universe). In something of a coda, Sabine notices the Darksaber and takes the ancient weapon for her own. As a descendant of House Vizsla that now possesses an ancient symbol of Mandalorian tradition and leadership, Sabine Wren might very well play an even more integral role in how Phoenix Squadron contributes to the overall Rebel Alliance. And now that our heroes know that Obi-Wan Kenobi is alive, will they engage in a full-fledged manhunt for the Jedi Master? And will we finally get that last showdown between Kenobi and Maul? The second half of this season’s Star Wars Rebels looks to be epic and will surely be worth the wait.